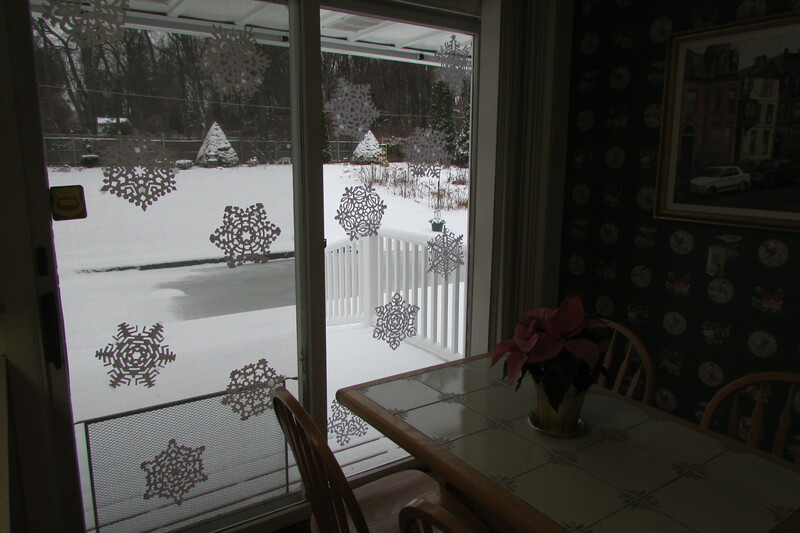 Christmas will soon be here, and I’ve done some decorating. 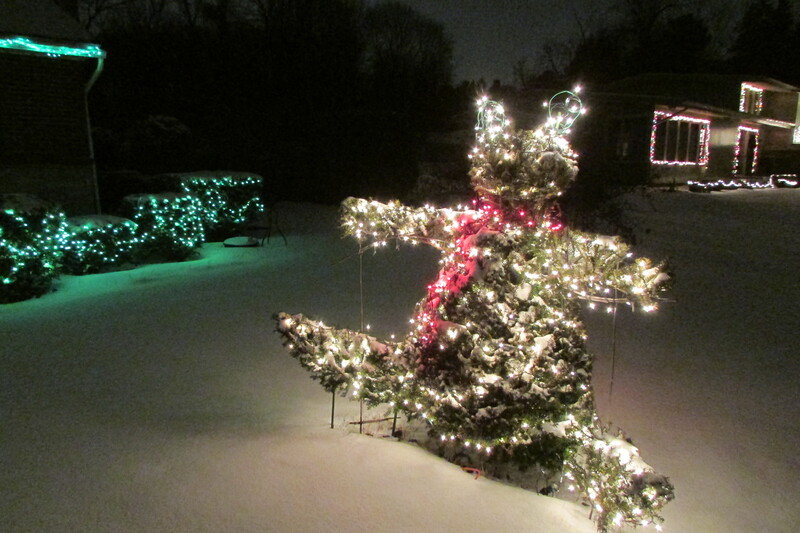 The amount of daylight, this time of year is decreasing, and the amount of darkness is increasing, so what better way to brighten the dullness of Winter, than with Christmas lights and decorations. 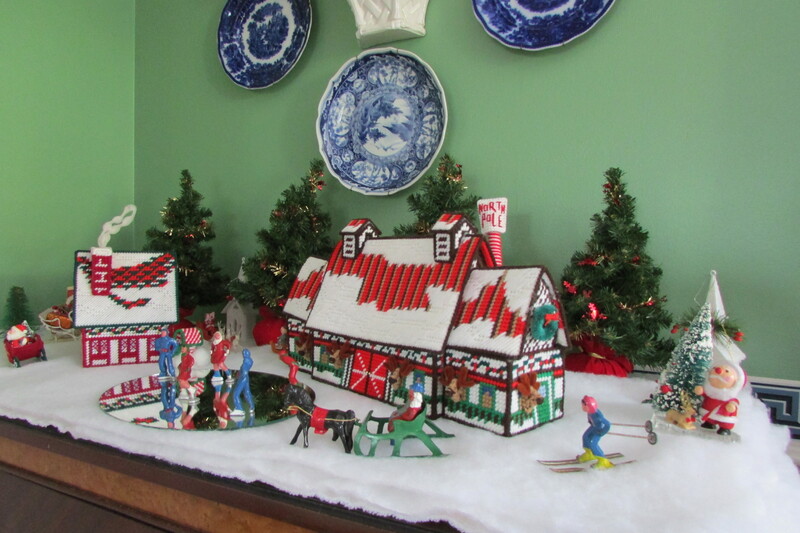 This post shows some of the things I put out this year to celebrate the holiday period. The above photos show this year’s Christmas tree. For years I’ve collected Santa Clauses, and because friends and relatives know I like them, they’ve also gifted me with many. 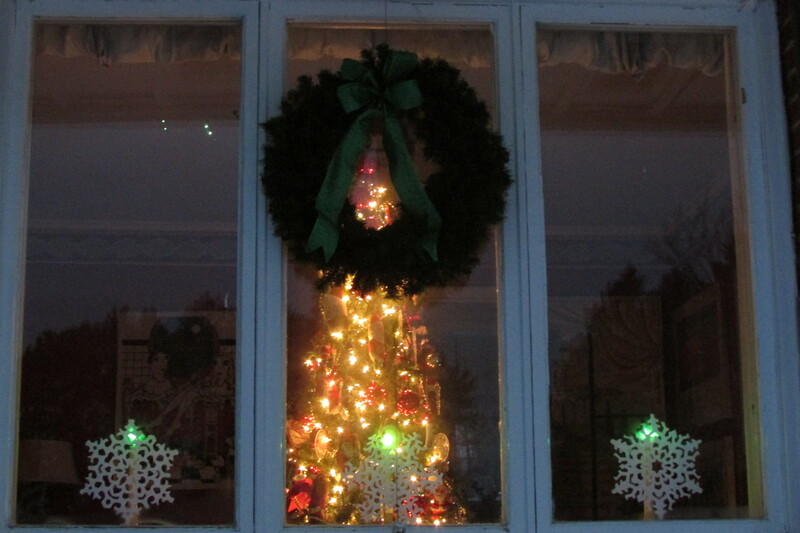 In past years I’ve put up a big artificial tree in my living room, and even sometimes had a second in the dining room, but because the trees were not view-able from the road I only lit them when visitors came. 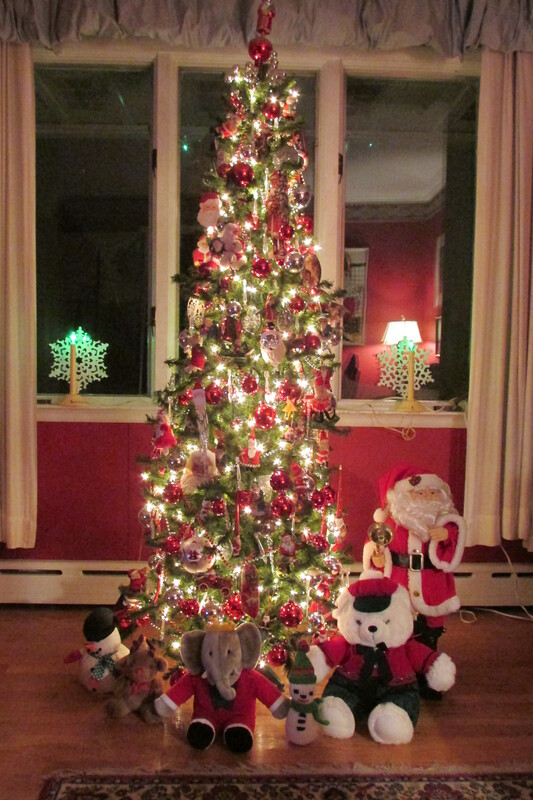 In more recent years, instead of a big tree, I put up my 32 year old “slim Canadian spruce” in the TV room, and the branches and top of the big artificial tree are re-purposed throughout the house as greenery in all of my vases. 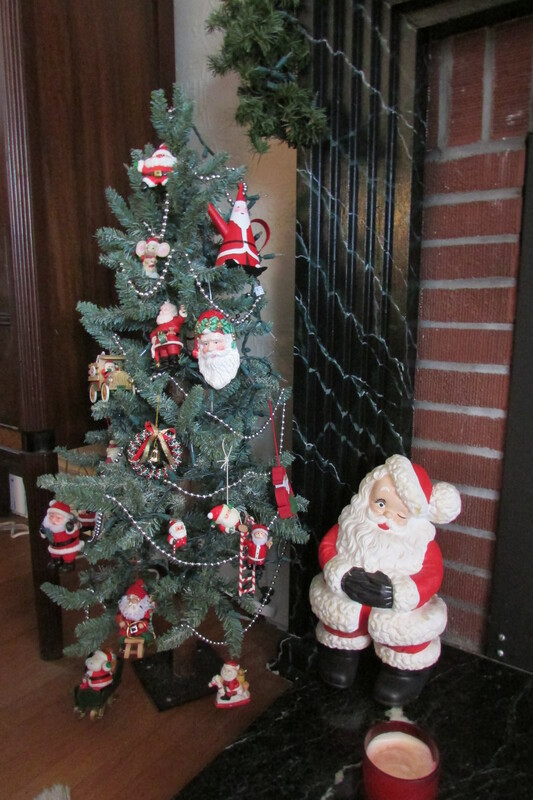 The Santa collection continues in the living room on the mantel, and on the two trees that flank the hearth. 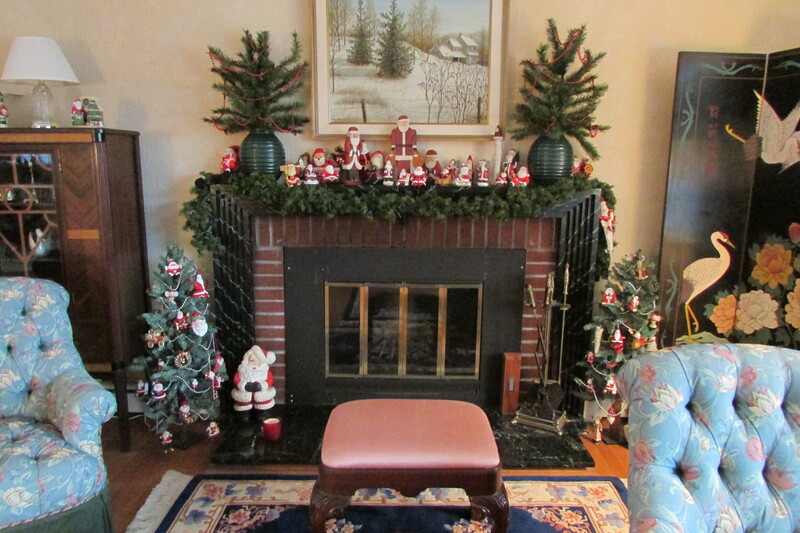 The vases on the mantel are filled with the bottom branches of the big Christmas tree that I no longer use. 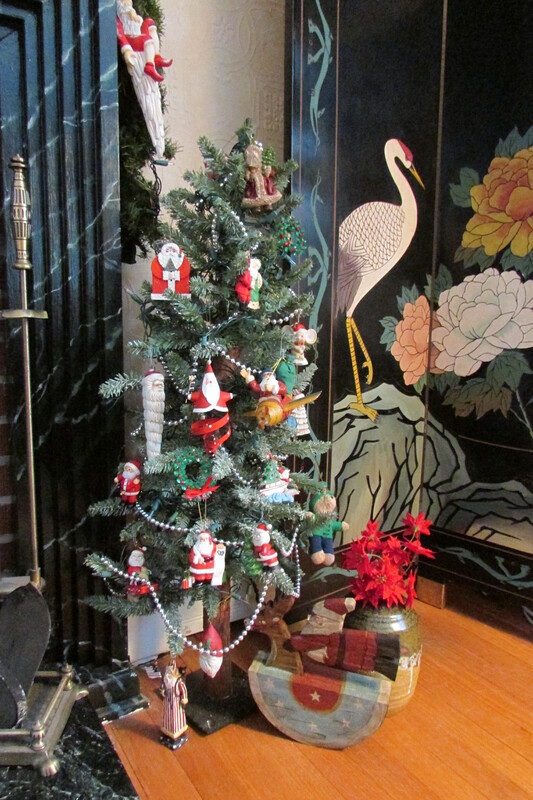 At the other end of the living room, the top of the big artificial tree is now the perfect size to make a table top tree. 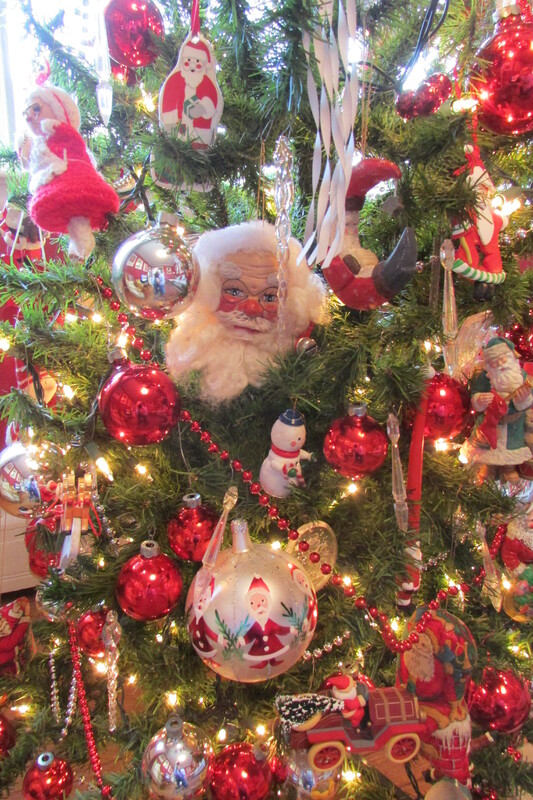 A collection of antique looking ornaments decorate its branches. 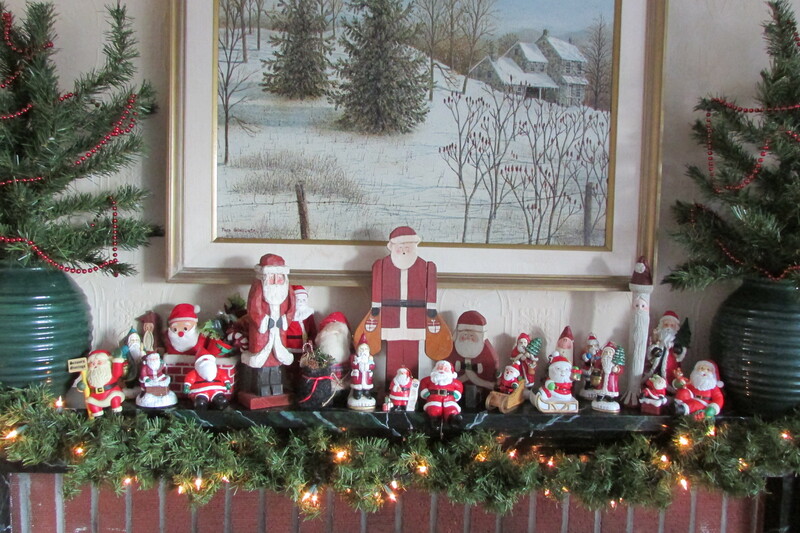 A collection of chalk-wear Santas and other seasonal glass objects decorate an end table by the sofa. 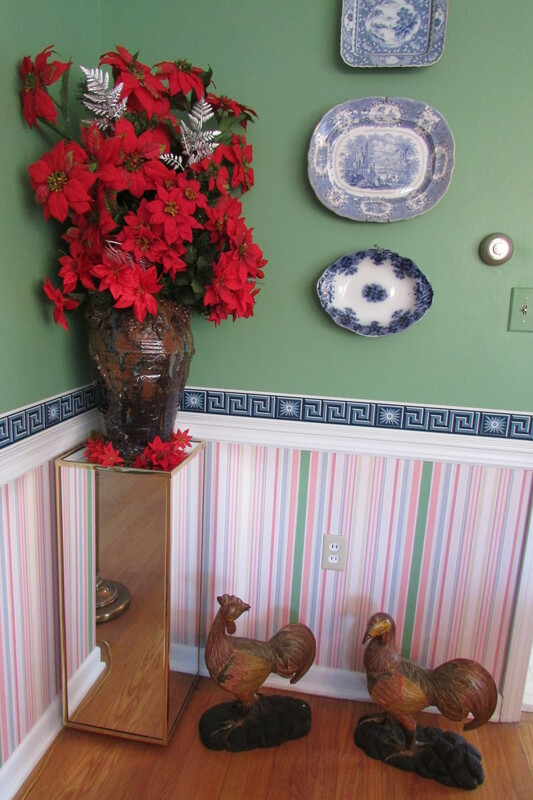 In the space between the living room and the dining room, a large floor vase is filled with more branches from the big Christmas tree, silk poinsettia flowers and white-painted branches and snowflakes. 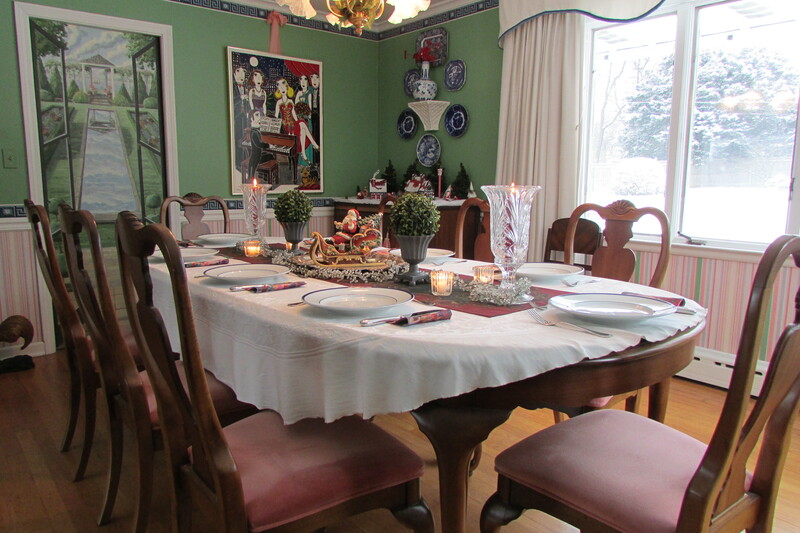 The dining room table is set for a holiday meal. 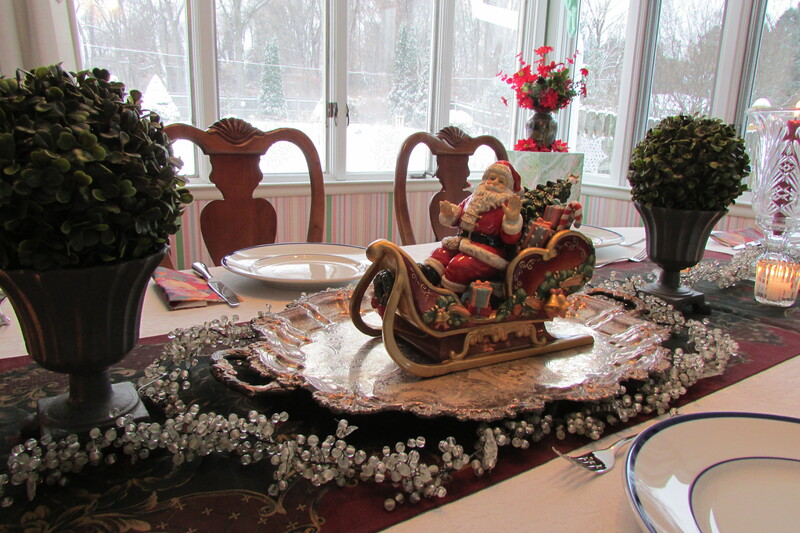 A cherished Santa in sleigh, a gift from my mother, sits on a silver tray. 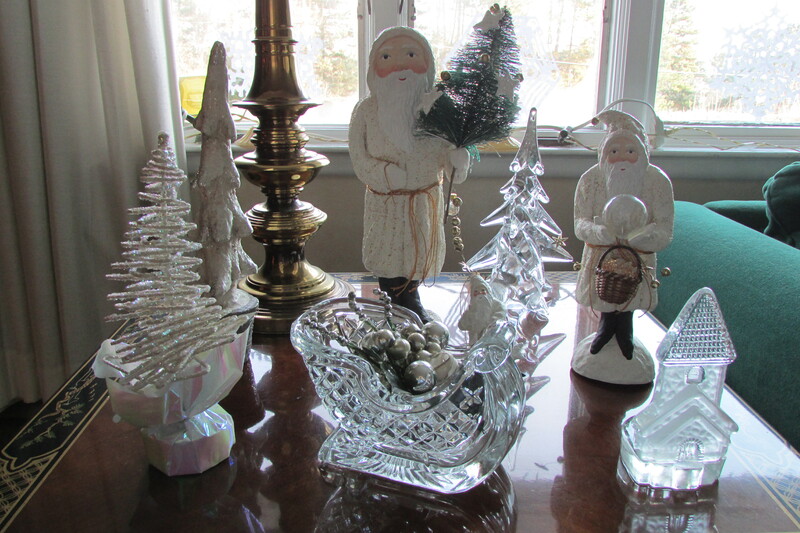 Glass bead garland, found at a local garden club’s holiday tag sale, and a pair of small iron planters, found at another tag sale in Salisbury, Ct create the centerpiece. 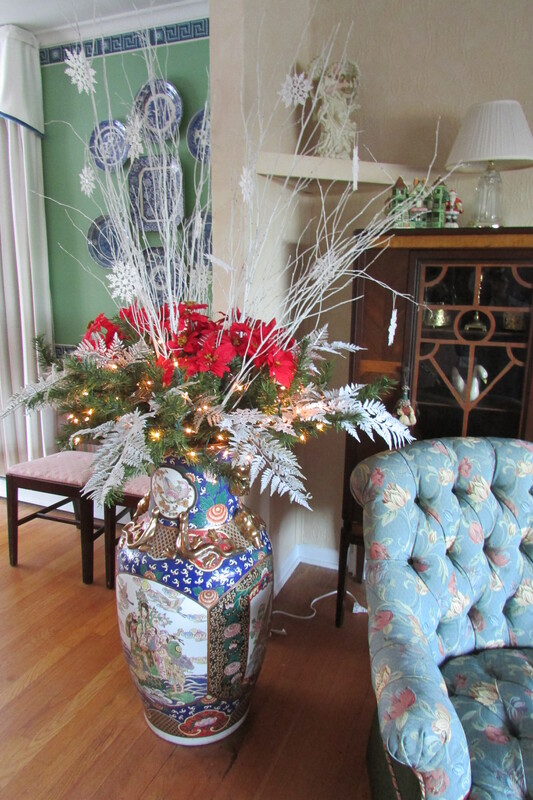 The two vases, that I made in college, seen on the pedestals, are filled with silk poinsettia flowers and branches from the artificial tree. 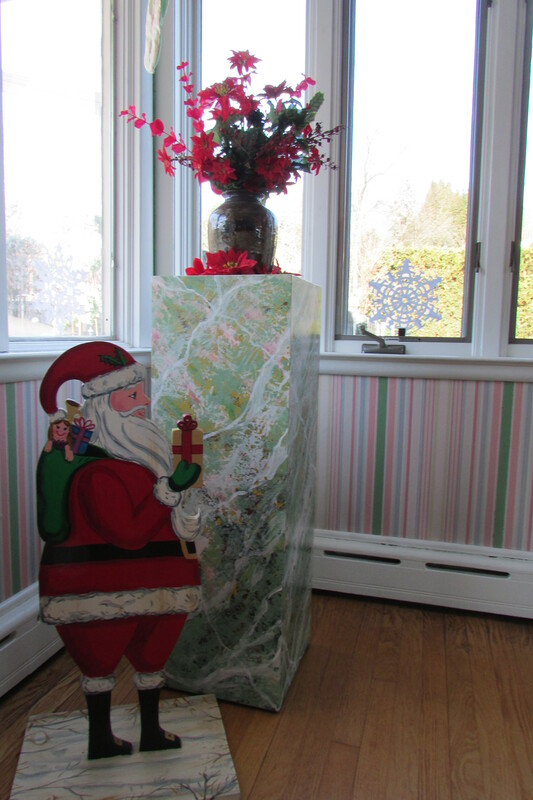 A Santa dummy-board that I made in 1984 continues the Santa theme decorations. 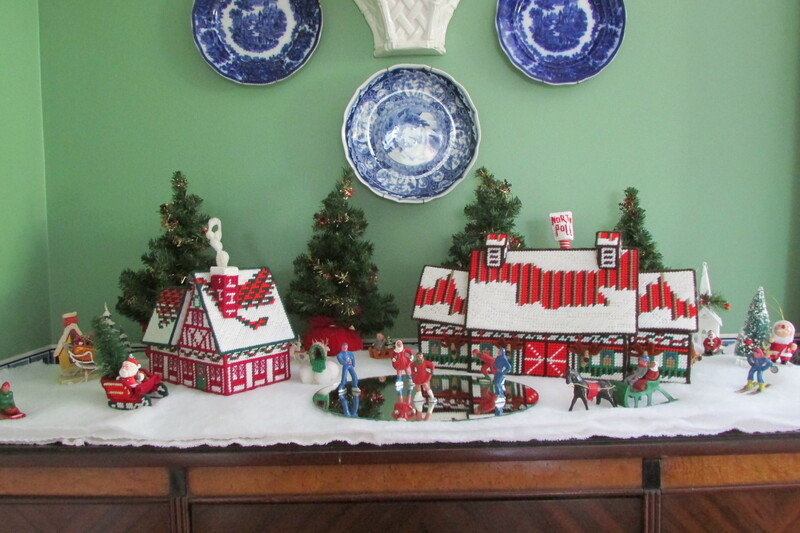 This year, a needle point Santa’s Workshop / North Pole, a wonderful surprise gift made by friends Marilyn and Bill Tucker decorated my maternal grandmother’s buffet. The skaters and some of the other characters are made of metal, and were bought at Woolworth’s in the 1960’s. I hope that you liked what I’ve done, and maybe were inspired in some way. I want to wish everyone reading this post a Merry Christmas and a Happy, Joyous, Peaceful and Prosperous New Year! Maybe one day I will do Instagram, I do like looking at what others post. Oh my Fred! You have been busy! Everything looks beautiful! I loved reading about where you got certain pieces or who they used to belong to! I think that having things from your past really makes a house a home, especially so at Christmas. I know everyone that visits your home will enjoy your decorations, from the lights outside, to the repurposed tree you sprinkled throughout your home. Thank you for sharing your home with us! Again, best wishes to you for a wonderful Christmas and a healthy and happy new year! Hi there P.W. I love having things that have memories. I remember where practically everything comes from. 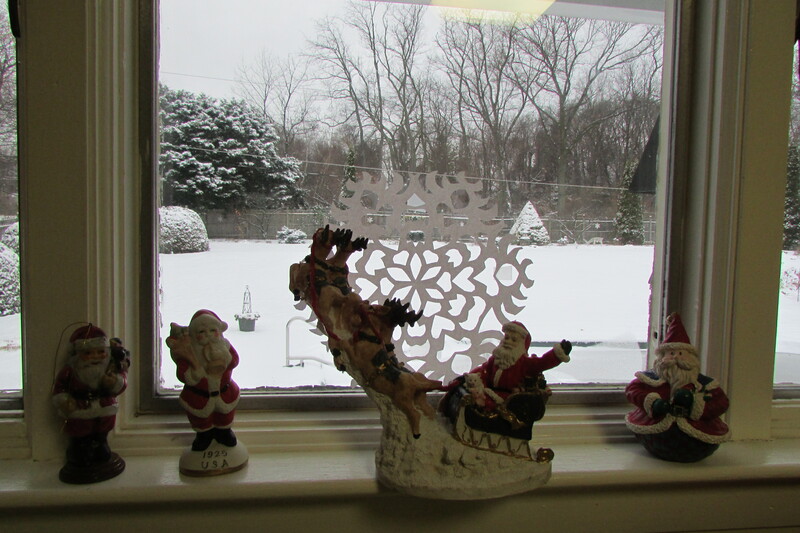 Recently a friend came by who gave me some of my Santas, I had remembered her giving them to me, but alas, when I brought certain ones to her attention she had forgotten, AND most times she remembers things. Memories are a history of a person’s life, and their family. I have chairs that came from my maternal grandmother and I love them. If I had just found them somewhere, even if they were the same, they probably would not have the same feeling. I have pieces of furniture and decorative accessories that came from friends houses, who have passes, and every time I look at those things I remember them. Things with memories keep people who have passed alive a little longer. Again Merry Christmas to you and Happy 2017. My next post is 12 different drawings of the Big Eyed People, for people to color. I haven’t drawn then since 1993, so it is a fun project for me to be working on now. In a way it is like going back in time, doing a style of work that was truly me. Maybe it will catch on again. I have my fingers crossed. Hi there P.W. Looking at different things on my WordPress dashboard, I see that you are my lead commenter (most comments made) You commented 28 times so far. Up to a minute ago, the blog has been viewed (posts/articles looked at) 2,362,962 times by 1,360,871 people. 1564 comments in all have been made, I’ve replied back to everyone, I think. That means 782 comments were made by the 1,360,871 people who looked at this site. I’m glad the hundreds of thousands of people who pinned me on Pinterest, at least, put the effort into telling people about my site. Woohoo me! Well, it has been my pleasure to read your informative and beautiful posts! Thank you for all the time and work you put into your blog! 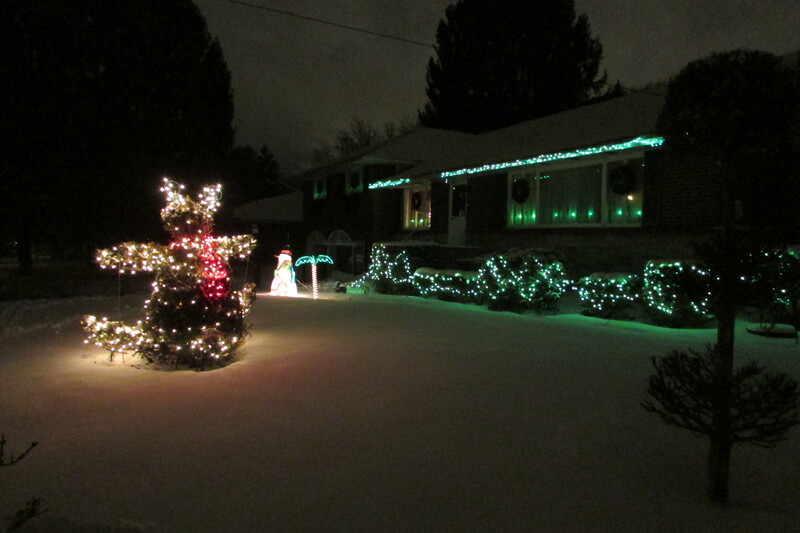 Fred, your house looks so joyous and festive! I remember awhile back you showed how organized all your decorations were in the closet. Little did I know how wonderful they would be all displayed and lit up! 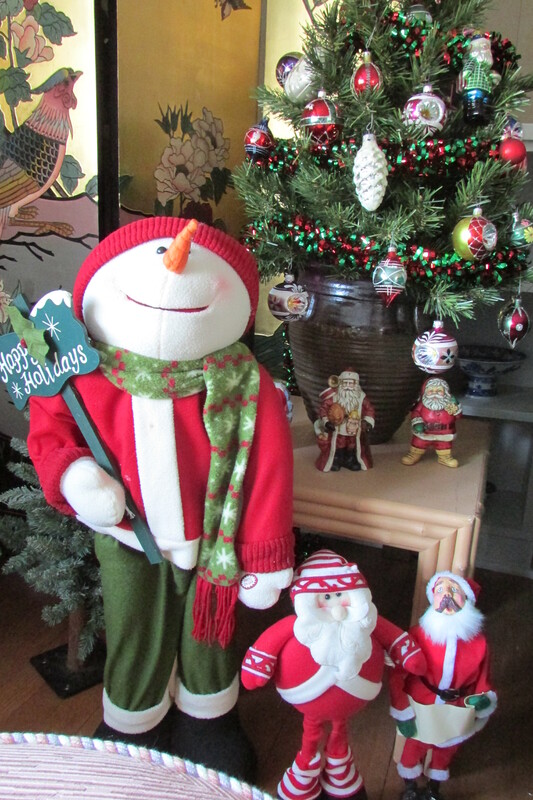 I especially love Babar and all his friends around the tree and the snowman near the front porch! Wishing you Joy and peace in this coming year. Thank you too, for all the inspiration and expert advice. Blessings 10 times over those you share with us all!!! I’m going to have to up my game next year. Your place looks great! I love your site! You did a great job putting it all together and I’m honored to say I’ve had a place at that beautifully set up table! You’re a talented wonder! Hi Magster5, was sitting here wondering who could that be, and then I saw that you re-blogged my rant post on your soon to be website.